home is where they send us...: i am beyond blessed - a momma peanut date. i am beyond blessed - a momma peanut date. She was my birthday gift almost five years ago. Seriously - best birthday gift ever. I find that having four kids is amazing but it can be tiring and sometimes I honestly worry that they feel lost in the crowd. I don't ever want them to feel that way...so, I decided that each kid needs individual time with each parent to do something fun. 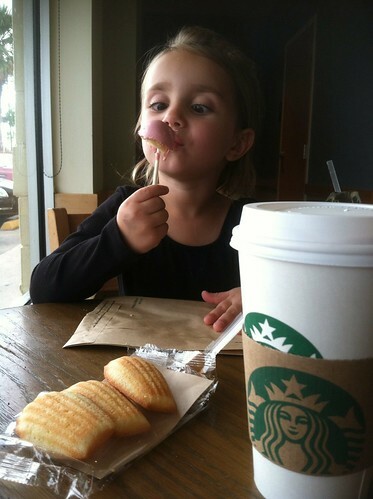 This week, I took Peanut on a Momma date to Starbucks. She was so excited to go and spend time with me. It took her forever to decide what she wanted from the dessert case. She had a juice box and a cake pop and cookies. She let me have one cookie (ain't she sweet?). 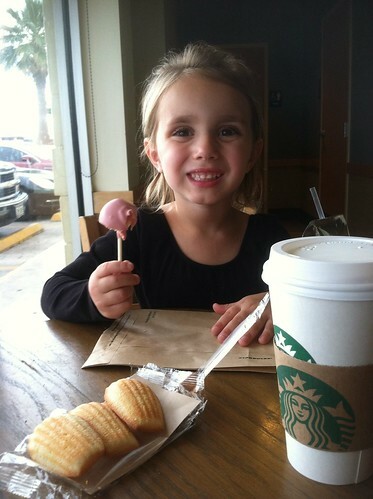 She ate up that cake pop so seriously, sat with her legs crossed and chatted with me about the most amazing things. 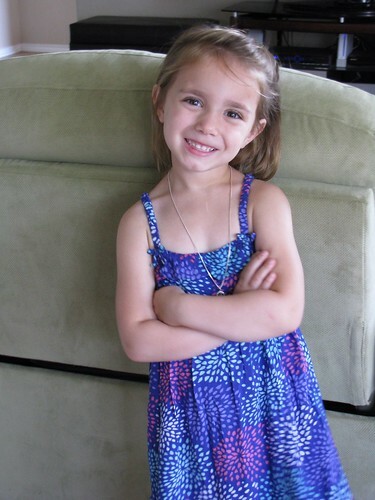 When did she grow up? How did I get so blessed?